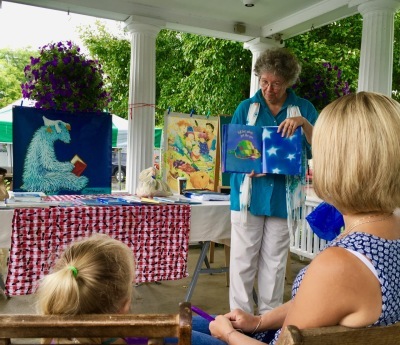 Suzanne Bloom is an internationally-acclaimed children's book author and illustrator, whose books have been translated into at least six languages and who has deep roots in our community. Bloom grew up in Queens, graduated from Cooper Union, and has lived with her family in McDonough since 1980. Chenango County, she says, is where her stories began. Using friends’ barns and farm animals as models, she created We Keep a Pig in the Parlor. Her well-loved book, Piggy Monday, was inspired by Susan Hubbard’s kindergarten class. The idea for The Bus for Us started with Oxford’s first grade teachers. And for a period of ten years she worked with third graders at Oxford Academy producing a yearly anthology called Think Big. Throughout the years Bloom’s sons and many students have inspired a variety of characters. 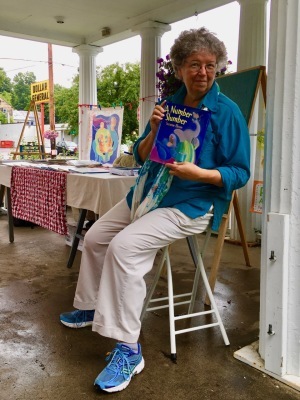 The Oxford Farmers' Market is thrilled to have her as a part of our community, and hopes one day to be inspiration for her boundless imagination and talent. And check out this fabulous Kirkus review of Bloom's forthcoming book, I Just Like You (Boyds Mills Press, November 2018), which calls it "A manifesto to bridge the deepest chasms of otherness and to melt the stoniest of hearts."